The United Nations is painting a grim future for people living in some of the most depressed areas in the world. According to CNBC.com, there are at least 20 million people from Somalia, South Sudan, Yemen, and Nigeria who are going to die from starvation by July 2017. The warning was issued by the agency in February this year to highlight the need for greater measures to ensure food stability, with South Sudan already in a state of famine brought about by civil unrest in the country. Food stability is a fundamental global problem that involves all areas of food production and technology. 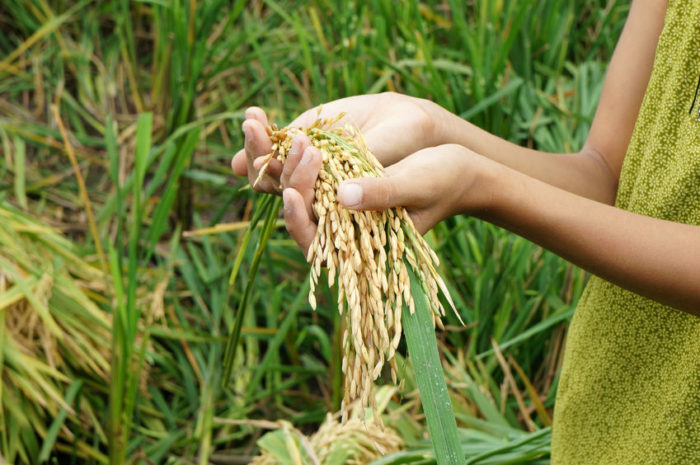 The struggle to end world hunger requires bold moves and innovations from science and technology. 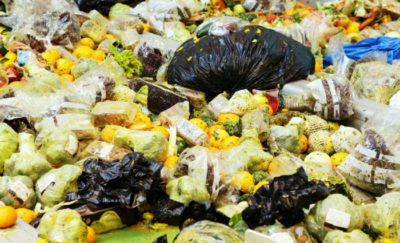 There’s also no time to waste, since the demand for food will continue to rise with the growing population. Interestingly, the small island nation of Singapore was hailed as the 3rd most food secure nation. 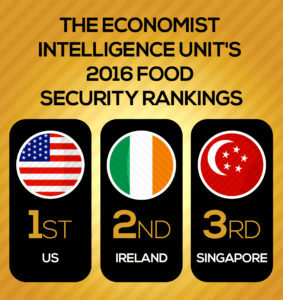 The Economist Intelligence Unit’s (EIU) 2016 Food Security Index ranked the U.S. and Ireland were first and second, respectively. What’s impressive about Singapore’s status is the fact that it does not have any land resource at all. 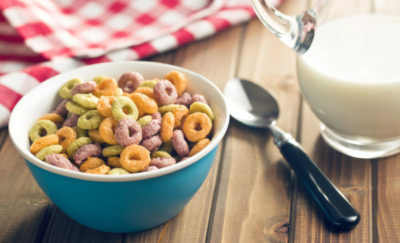 The country was said to have begun creating a comprehensive food security road map as early as 2013, and this included bold strategies in food innovation as well as diversifying its food import sources. Singapore also extends assistance to local farmers through productivity funding schemes as well as ‘agro’ technology parks. The latter provides farms with advanced technologies and farming techniques to bring production to a higher level. Farms will always be the backbone of the food industry. The Food and Agriculture Organization (FAO) of the United Nations says “90 percent of the world’s farms are owned and operated by families. Most are small and are found in the rural areas of the developing world. Many of these smallholder family farmers are poor and food insecure and have limited access to markets and services. Their choices are constrained, but they farm their own land and produce food for a substantial proportion of the world’s population. Today, there is a need for a sustainable agriculture in order to tackle the triple challenge of producing more food, creating more jobs and preserving the natural resource base: small family farmers lie at the heart of the solution”. In 2009, FAO published a report which said that agricultural production needed to increase by 70% by the year 2050 in order to meet the population’s demand. Since humans have already used up almost all of the arable land, the growth must come from higher-yielding crops. The industry has undergone countless bold transformations, including mechanization and tapping new crop varieties and the introduction of precision farming and genomics. These developments have led to the birth of “smart farms” or farms where technology has taken over systems in varied forms and applications. With the marriage of technology and food production, the world is one step closer to addressing the problem of food stability. There are countless developments to watch out for in the years to come – most of them exciting, effective, and awe-inspiring.